Basle, c.1560. 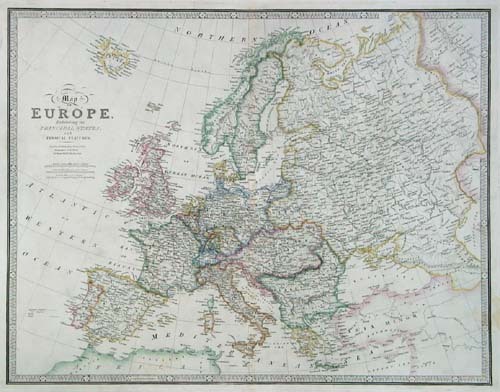 An interesting, distorted, diagrammatic map of Europe. 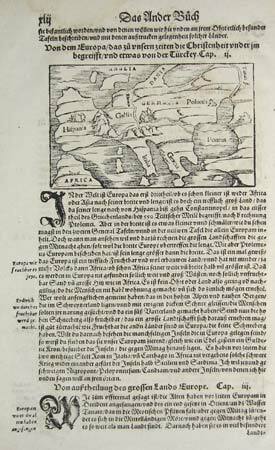 Amsterdam, Jodocus Hondius, 1607. 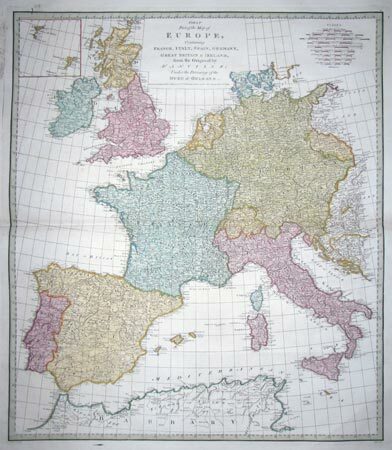 Prepared by Rumold Mercator for the posthumous third volume of his father Gerard Mercator's atlas, this example comes from the first French edition. The title is within a superb strapwork cartouche. London, Bassett & Chiswell, 1676. 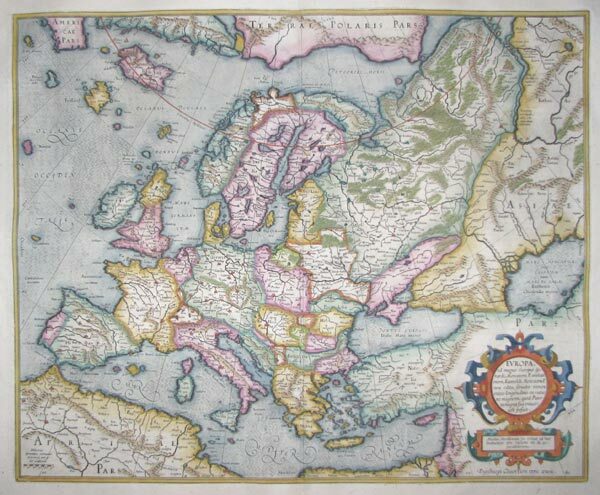 A decorative miniature map, engraved by van der Keere, here using in the Speed 'Epitome' atlas. Nuremberg, c.1743. 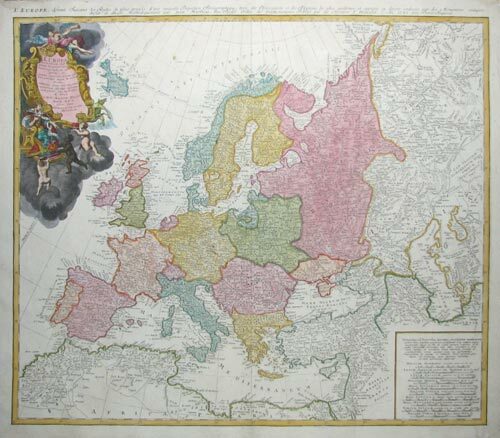 Europe by the cartographer Johann Matthias Haas. London, John Harrison, 1788. 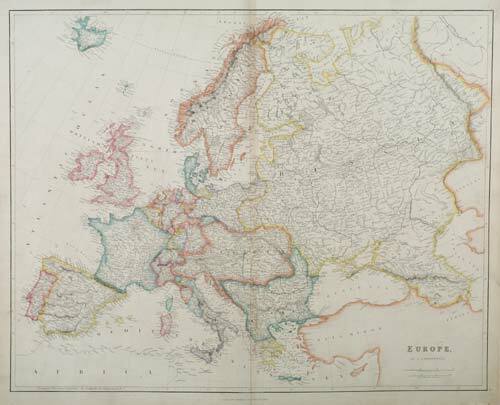 A large and colourful map of Western Europe. Th Shetlands and Faroes appear in an inset. 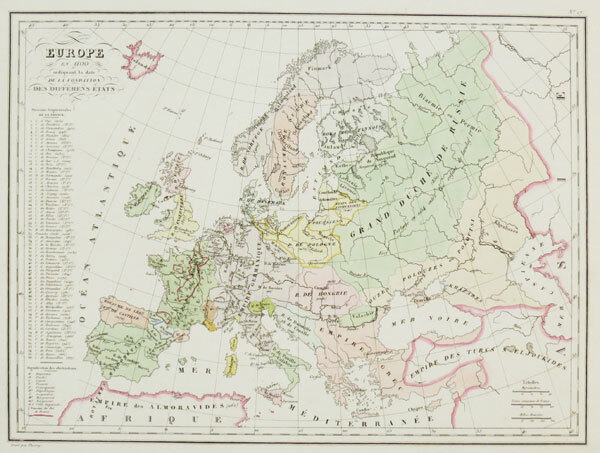 Large map of Western Europe in the Dark Ages. London: Laurie & Whittle, 1794. Westen Europe after the Fall of the Roman Empire. Paris, c.1840. The divisions of Europe in 1100, shortly after the Norman conquest of England. The Normans also have a kingdom in Sicily; the Greeks still control Constantinople; and most of Spain is still Moorish. London, 1842. 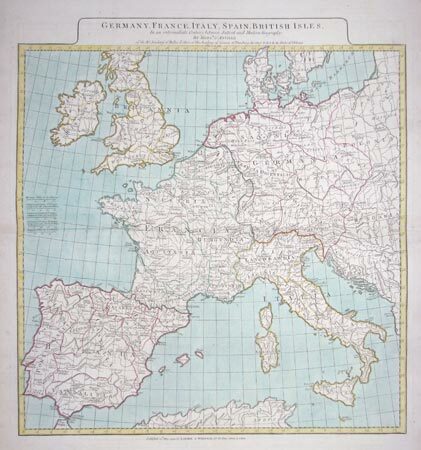 Detailed map, issued in the 'London Atlas' by the foremost British cartographer of his generation.